Pagination provides a variety of extended professional graphic and communication services including general graphic design, packaging and exhibition design and publishing design. Our design work is backed up by solid bureau production facilities and many years experience in the pre-press area servicing the printing and publishing industries. 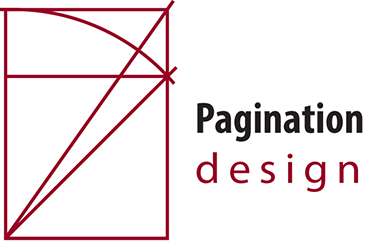 Pagination Design Services has experience and expertise plus the production technology. We design effective, economical and fast websites. We also supply website hosting. Whether you need a completely new website, or your existing website requires a "renovation" we can help make the process fast, easy and economical. Experienced for many years in website design and the creation of websites that work both quickly and efficiently, Pagination Design Services can assist you evaluate and implement various web technologies to enable you to make the most of the internet. As well as graphic design skills required for the design of aesthetically pleasing web pages, we also have expertise in various programming languages required for creating many vital parts of effective automatic web pages. Our web design process includes evaluation of the total website, from initial concept, design and installation to detailed planning of economical and effective update strategies that allow the client control of ongoing maintenance to whatever extent they desire. The World Wide Web is a magnificent communication tool, but the design of websites requires much more expertise and planning than just flashy graphics. Pagination provides a wealth of experience in creating websites that effectively answer your communication and information delivery requirements. We have the expertise to manage large and small sites, and provide well planned frameworks that allow for easy and economical updating and expansion. Creating a commercial website generally involves four main steps . . .
Pagination is a very experienced web services company, and we can provide expert assistance to your organisation for all of the above. We can provide domain name registration and hosting services, or we can work with your existing domain name or other hosting arrangements. Website design, construction and ongoing maintenance involves much more than the graphical look and appearance of the site. Pagination can provide you with the detailed planning and implementation required for such elements as . . .
We have many automated systems to enable the quick presentation and maintenance of any website content such as static text, PDF and other documents, Video, music and animated content. Your website's ongoing maintenance can be handled in several different ways depending on your requirements. With our "Content Management System" installed, you can complete all your site updates and maintenance yourself via a password protected administration page. Alternatively, Pagination can totally maintain the site on your behalf from your instructions forwarded by email, fax or telephone. Why bother having a website?